The seventh season of the premiere woodsball league in Eastern Canada, the Tippmann X7 Phenom Atlantic Tactical Woodsball League (ATWL) kicked off June 15th, 2013 Mersey Road Paintball in East River Nova Scotia. 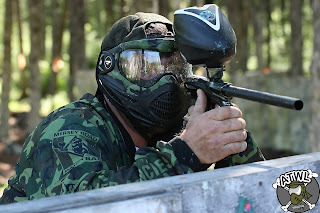 Woodsball teams from around the Maritimes came together to once again to begin the battle for the ATWL Cup and the title of the best woodsball team in the Maritimes. The teams fight for points by capturing one of three flag stations that are set up approximately equidistant to each team's start point on the field. The teams play a round robin format a win earn the team 2 points, a tie one point and a loss no points. Total flag caputure points earned by each team is used to break a tie. The Mersey Road Predators started the day with a bang and never looked back. The Predators returned to the form they displayed in 2011 when the team won the ATWL Championship. The Preds won every game and jumped to an early season league lead. The SU Milita from Moncton New Brunswick are starting to hit their stride in the woods, and becoming a contender for the championship. SU ended the day tied with the defending champion Anthraxx for win / loss points but moved ahead of Anthraxx due to more total flag capture points. The Green Acres Goblins are still learning the intricacies of competitive woodsball play in this their sophomore season in the ATWL. The Goblins came into the event shorthanded put up a stiff fight in every game. The Goblins are improving with every game and are looking forward event 2. The 2009 ATWL champion Nova Scotia Mercenaries played well all day. The Mercs ended the day is second position but managed to accumulate the most flag capture points for the day for the day. Head Referee Josh Boiduk of the Tippinators was impressed with both the skill level and sportsmanship displayed by all teams. 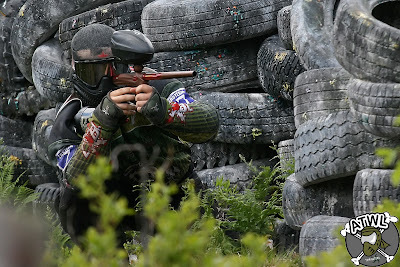 "It was exciting paintball to watch," said Boiduk "there was lots of paint in the air, movement all over the field and real teamwork showed by everyone." In 2013 the league is made up of established teams but the number of new players in the league this season is a pleasant surprise. "New players are vital in order for the league to succeed, and the sport to grow." said Bruce Johnston ATWL League Commissioner "Seeing many new faces playing on existing teams shows the sport is alive and well in Eastern Canada." 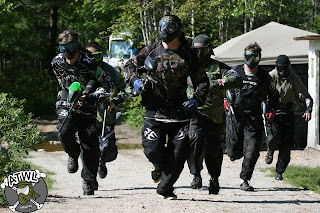 Riding high on the success of event 1 the ATWL will next roll into Hypersportz Paintball in Mount Uniacke, Nova Scotia on July 27th for event 2.